For the first time since February 2015, the annual passenger traffic at the Tallahassee International Airport surpassed 700,000. 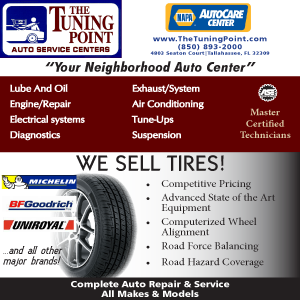 This milestone was aided by increased passenger traffic in October. 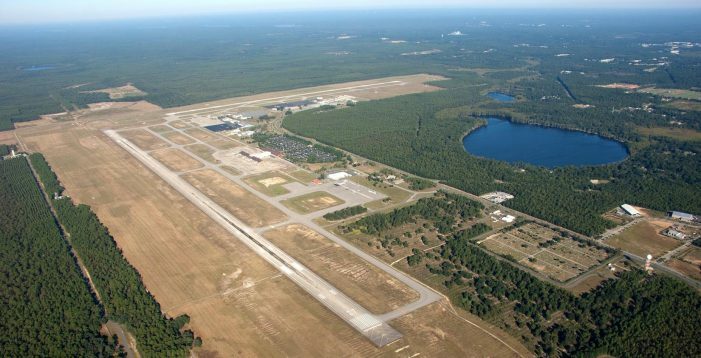 The latest numbers for the Tallahassee International Airport (TIA) show passenger traffic increased in October when compared to October traffic in 2015. The numbers for October 2016 show a 10.1% increase in passenger traffic. The number of passengers increased from 63,590 during last October to 70,378 this year. The Passenger Traffic Report shows passenger counts for the three major carriers. Both the Delta Group and American Airlines showed a positive gain for October when compared to last year. The year-to-date numbers for 2016 shows that passenger traffic has increased by 2.1% when compared to the first ten months of last year. The graph below shows the annualized number of passengers for the last 12-months. 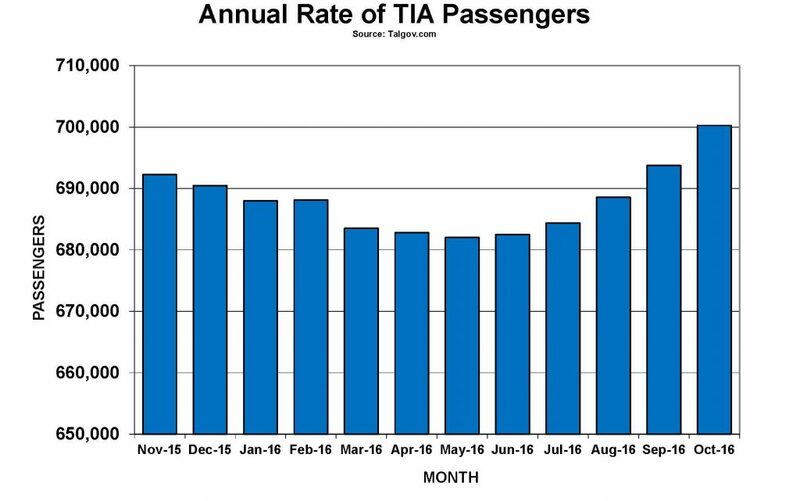 The annual rate of passengers at TIA has increased for the fifth consecutive month. Annualized number of passengers is calculated by summing the previous 12 months of traffic for each month. One Response to "Airport Passenger Traffic Reaches New Heights"
That would seem to coincide with a reduction in the average cost of airfare, no doubt due to lower fuel prices. US avg airfare for example has dropped from $403 to $352 since 2014.